In an attempt to extract deposits of natural gas located thousands of feet beneath the earth’s surface, oil and gas companies are turning to a controversial process called hydraulic fracturing, or “fracking.” Oil and gas companies begin by drilling wells up to 8,000 feet deep. Millions of gallons of water laced with hundreds of (sometimes unknown) chemicals are injected into these wells under high pressure, which fractures the shale to permit otherwise trapped natural gas to flow to the surface where it can be collected. Each “frack” contains up to eight million gallons of water laced with harmful chemicals, and a single well can be fracked multiple times. On average, only 10-40% of the chemically-laced frack fluid is recovered and removed from the well after each frack, leaving millions of gallons of chemically polluted water behind. These leftover chemicals pose serious risks to the environment and even human health, which has led to a public outcry. Chemicals from fracking operations have contaminated nearby drinking wells to the point where many residents living in close proximity to fracking wells have been forced to move away after losing their only source of potable water. Beyond the chemicals used in the frack fluid, methane, a component of natural gas, can migrate through cracks in the natural gas well and contaminate streams, lakes, and drinking water. In 2009, the Pennsylvania Department of Environmental Protection fined Cabot Oil and Gas Corporation for causing a methane gas contamination in 19 homes in Dimock, Pennsylvania. Cabot began drilling in the Dimock area in 2006. By early 2009, residents nearby were reporting methane bubbling out of their faucets and even tap water catching on fire. In one widely-reported case, a methane gas build-up led to an explosion in a Dimock home powerful enough to move a large concrete slab. In late June 2012, a thirty foot methane geyser erupted out of a natural gas well operated by Shell in Tioga County, Pennsylvania. Shell issued a voluntary evacuation of residents living within a mile of the well after methane contaminated a nearby stream and at least one drinking well. The oil and gas industry has never publicly admitted that fracking has contaminated drinking wells or tap water. However, many gas companies faced with anti-fracking lawsuits are careful to settle out-of-court for confidential amounts. Notably, several oil and gas corporations have been fined by state regulatory agencies for pollution of drinking water associated with fracking. In June 2012, a team of attorneys in Pennsylvania won a groundbreaking victory for victims of fracking. Chesapeake Energy settled with three families in northeastern Pennsylvania for $1.6 million after experts concluded that chemicals from a nearby Chesapeake natural gas well contaminated the families’ drinking wells. The families insisted that the terms of the settlement be made public rather than kept secret, which provides a model for future victims. In the mid-Atlantic region, natural gas companies have primarily focused fracking operations on the Marcellus shale deposit, which lies under Pennsylvania, West Virginia, New York, Maryland, Ohio and Virginia, but other shale deposits across the country have also been targeted. Several states have successfully resisted fracking. Vermont recently instituted a blanket ban and New York has issued a moratorium on the practice, but fracking continues unabated in several other states in the region, and will likely continue to cause environmental and human health problems. 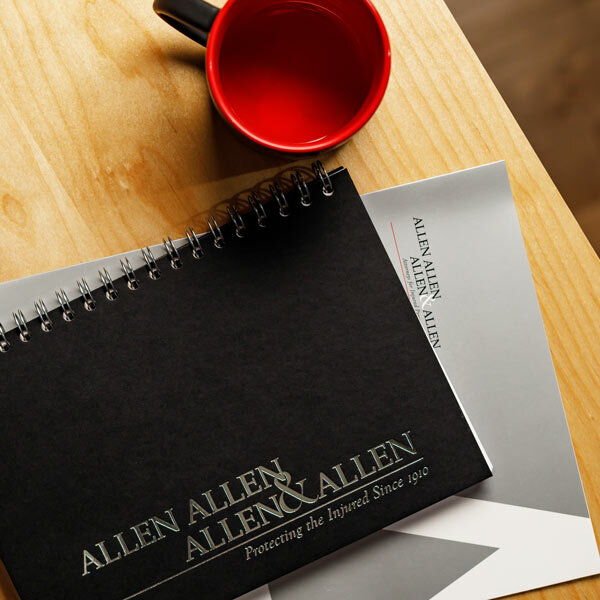 If you or a loved one believe you have been harmed by fracking, please call Allen & Allen to speak to a personal injury attorney at 866-388-1307. About the Author: Scott is the great grandson of the Allen Law Firm’s founder, George E. Allen, Sr., and is the fourth generation of the Allen family to join the law firm. He is a personal injury attorney, located in Richmond, VA, handling cases across the state of Virginia. Scott is dedicated to protecting the best interests of his clients and defending their rights against insurance companies. Only a handful of states have passed legislation requiring oil and gas companies to reveal what chemicals they use in the fracking process. Those states are: Arkansas, Colorado, Montana, Oklahoma, Pennsylvania, Texas and Wyoming. To read about a Virginia county’s successful fight against fracking, see: http://www.washingtonpost.com/national/health-science/with-deep-concerns-over-fracking-a-va-county-says-no-to-more-gas-drilling/2012/01/27/gIQAxhUcsQ_story.html. To watch the methane gas geyser caught on video, see: http://stateimpact.npr.org/pennsylvania/2012/06/28/shells-tioga-county-methane-geyser-captured-on-video/.